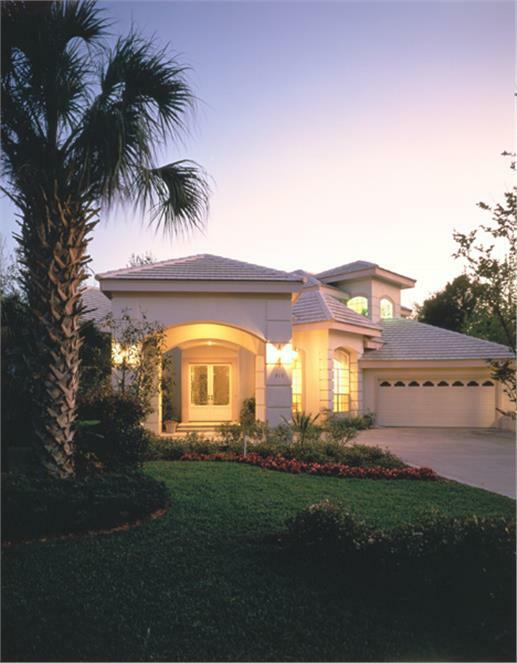 Perhaps rivaling California with its diverse home designs, the Florida region is lined with homes built in a variety of styles that showcase its heritage. Strongly influenced by the Spanish and the architecture of the Deep South, Florida house plans range from Mediterranean-inspired mansions and ranches to Tidewater houses, “Cracker” cottages, and two-story beachfront homes. 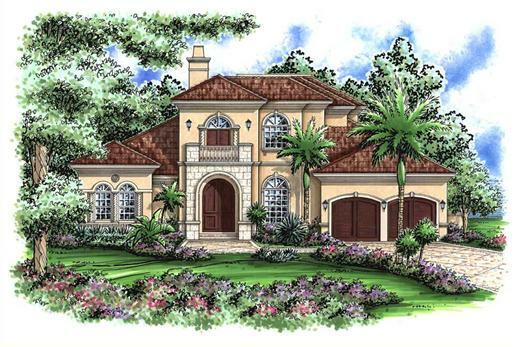 This one-story, four-bedroom Florida home features a red tile roof, stucco exterior, and other Mediterranean-plan touches (Plan # 190-1006). 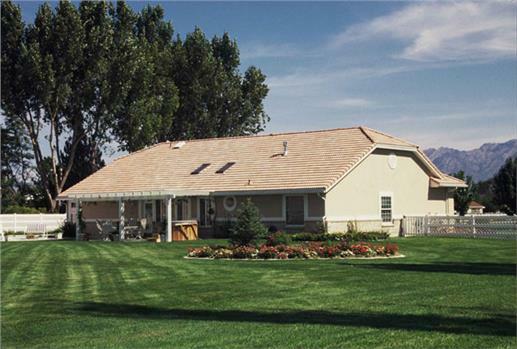 Check out the rear view of the contemporary home, with its covered patio (Plan # 190-1006). Whatever their architectural designs, Florida homes are built to allow comfort and ease in the sweltering heat and harsh winds. With the hot, humid weather in the state, most Florida house plans come with shaded porches, screened rear patios, high ceilings, plenty of windows, which allow cool breezes into the home, and usually no basements. 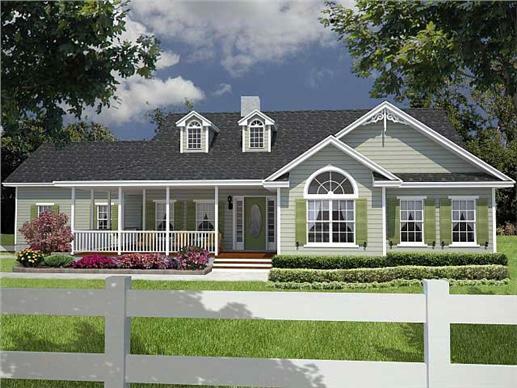 A white picket fence surrounds this charming one-story Florida-style home, with its inviting courtyard and covered front porch (Plan # 150-1003). 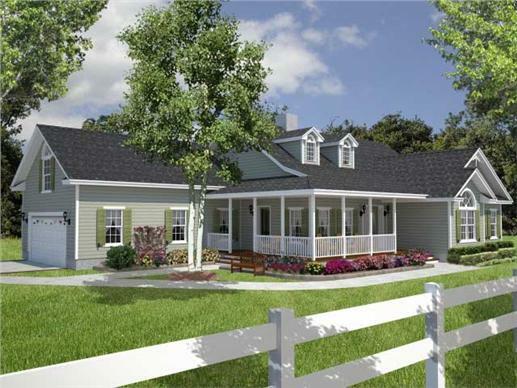 The three-bedroom home also comes with this spacious covered rear porch (Plan # 150-1003). 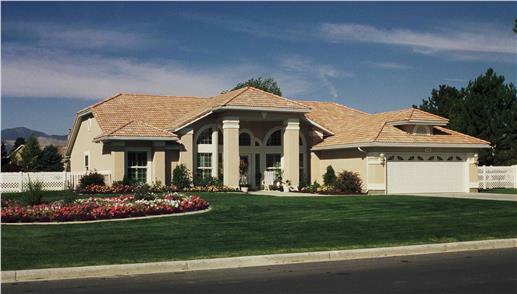 This two-story home has Mediterranean influences: low-pitch roof with terra-cotta tiles and arched entryways (Plan # 107-1059). 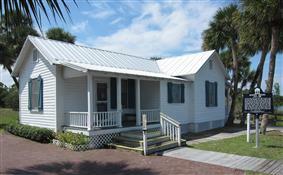 Like some Florida homes, this charming two-story coastal bungalow with three bedrooms and two full baths, features a metal roof (Plan # 190-1001). 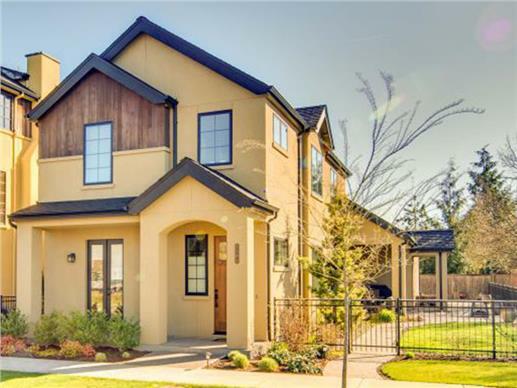 A modern two-story Florida-style home with an exterior facade of stucco and wood comes with a lovely covered entryway, courtyard, and patio (Plan # 108-1708). 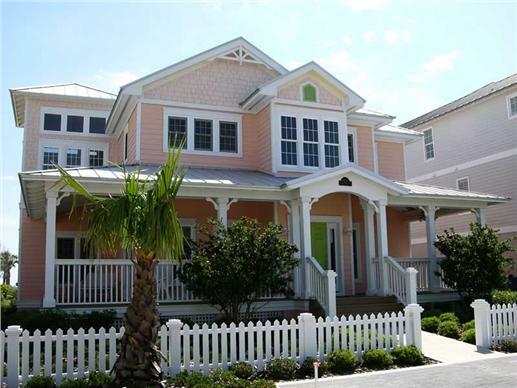 This typical Florida beachfront home has a raised porch and plenty of windows to let in the cool ocean breezes (Plan # 130-1108). Walk up to the covered entry and deck of this three-story coastal house plan, step into the Great Room and a large fireplace. 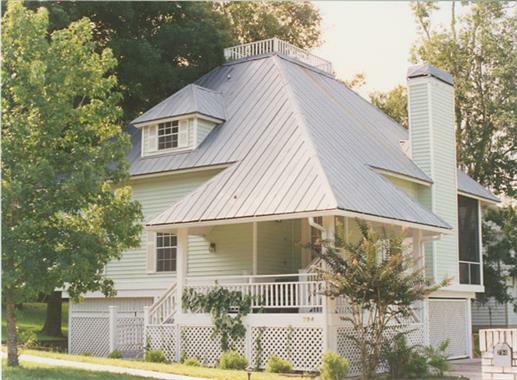 The veranda wraps around on the other side of the house (Plan # 130-1020). An open floor plan makes the home airy and bright. Open the glass doors to the lanai for a smooth transition from indoors to outdoors (Plan # 134-1011). Can you imagine a better way to relax? Friends can get to the screened-in pool of this luxurious two-story Mediterranean-style home from the living room into the patio; while private entry is available through the master suite/sitting area (Plan # 190-1019). 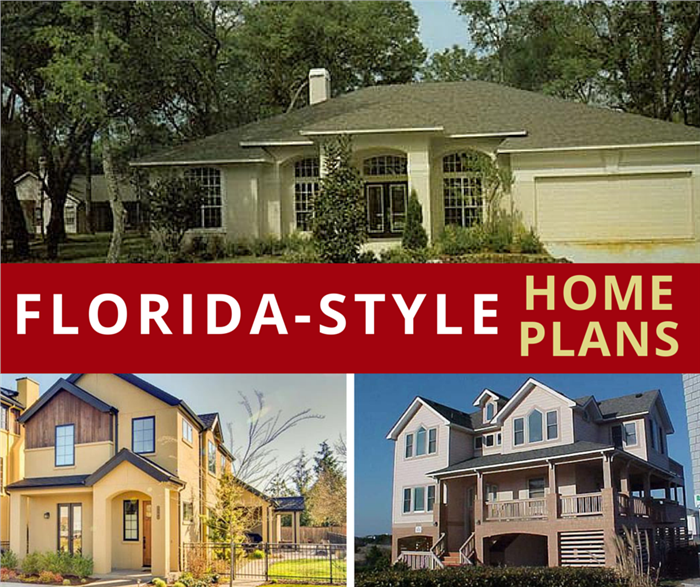 From Pensacola in the north to Tallahassee, Jacksonville, Tampa-St. Petersburg, Miami-Ft. Lauderdale, the Everglades, and the Keys, there is an extensive display of architectural styles in Florida homes. 1. Spanish/Mediterranean—All around Florida you will find traces of its centuries-old Spanish heritage in the designs of residences and public buildings. A modern Mediterranean style lives on in a majority of the homes, with their stucco/brick exteriors, low-pitch roofs with terra-cotta tiles, and arched entrances and windows. 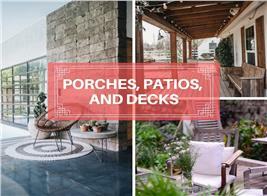 These homes also feature courtyards, rear patios, decks, and screened-in pools. Like most Florida homes, they have open floor plans—and an abundance of windows and doors that bridge the indoors with the natural outdoor landscapes. The setting sun makes this beautiful four-bedroom Mediterranean-style home even more attractive. 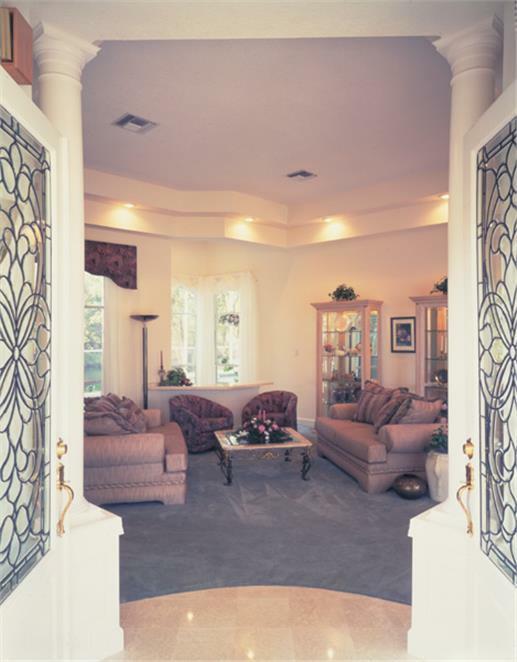 The intricately-finished front doors open to the living area part of the Great Room (Plan # 190-1018). 2. Mission Style—Akin to the Spanish/Mediterranean design is the Spanish Mission style, which is also prevalent—perhaps more so—in California and the Southwest. 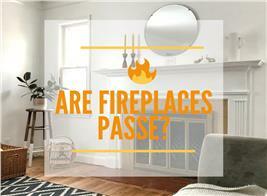 It shares these characteristics: exterior walls of stucco, red-tiled roofs, and arched doorways and windows. Unlike the Mediterranean style, the Mission design may feature a parapet or a square bell tower. 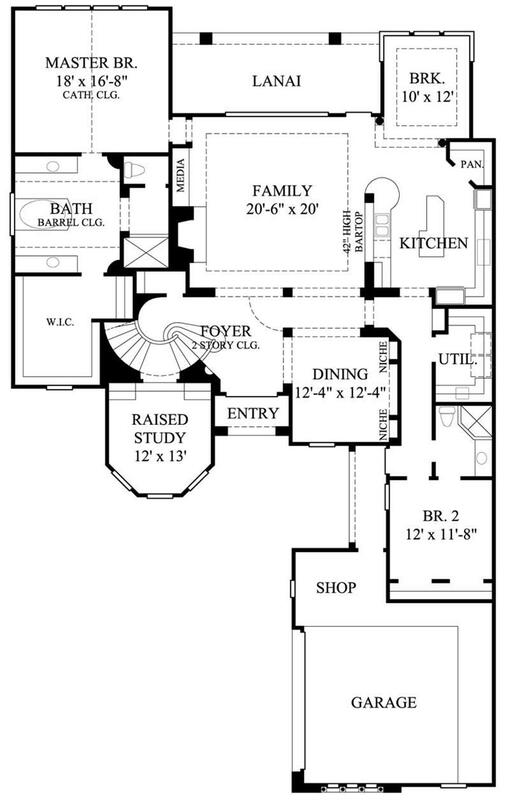 The typical red tiled roof, stucco exterior, and intricate trimwork are showcased in this one-story, four-bedroom Mission-style house plan. 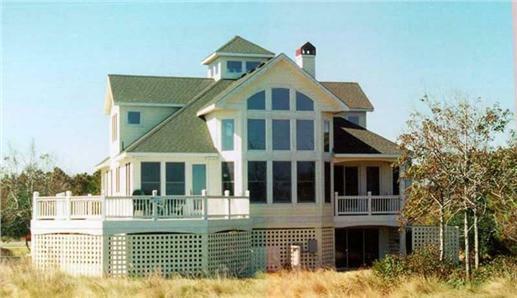 There’s a loft, study, library, Great Room, covered rear porch, and in-home gym, as well as space for a swimming pool. (Plan 133-1034). 3. 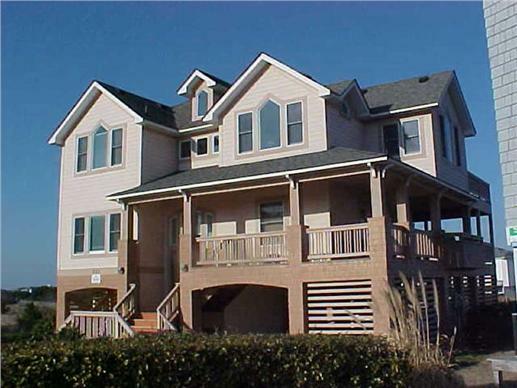 Tidewater, or Low Country, Style—Basically two-story homes elevated on piers or piles, Tidewater, or Low Country, home plans are common in coastal areas like Florida, where the weather gets hot, humid, and wet. 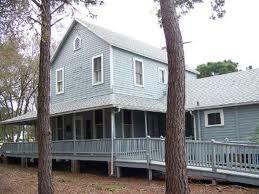 They have wide, covered porches and decks that often wrap around both floors of the home. Again, there are plenty of windows to allow the cool breezes inside. Living and social spaces are located on the main and upper levels, with the ground level used for parking, storage, or bonus space. 4. Old Florida “Cracker” Cottage—Built in the Deep South during the mid-1800s to the early 1900s by English, Scottish, and Irish settlers in Florida and Georgia called "Crackers" for their boastful, wise-cracking ways, the Cracker cottage is making a comeback. 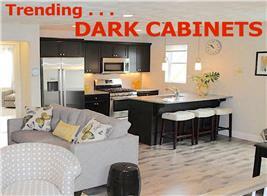 Its rustic charm and artless but effective design are attractive to modern developers. Originally an unsophisticated one-story wooden shelter with a metal roof, the Cracker home was constructed on a pile of rocks and bricks to raise it off the ground. To protect themselves from the heat and wind, the pioneers built wide covered porches and windows around the home for ventilation and shade—simple and energy-efficient design, basic principles that are being revived today to recapture the homey and affordable style of the old Cracker cottage. Two of the more famous Florida Cracker cottages: on the left is the Bensen Home in Grant, Florida, built in 1916 by Atley Bensen for his wife, Clara ,and is now the home for the Grant Historical Society. On the right is Plumb House in Clearwater, which was completed in 1896 and was the home of Jennie Reynolds Plumb, the first paid school teacher in the city. 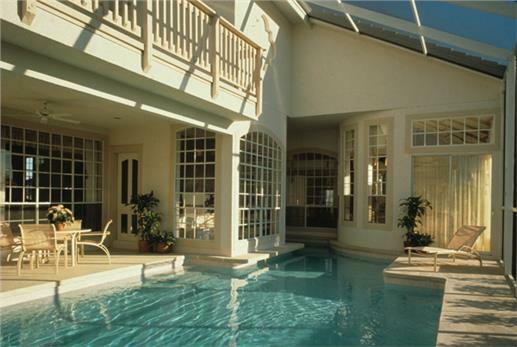 If you are ready to be charmed by the South, Florida’s diverse architectural home styles just may captivate you!